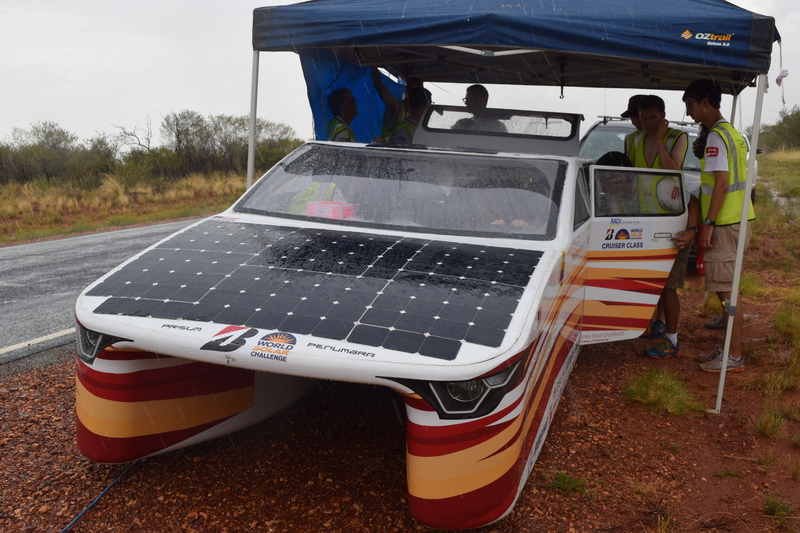 NORTHERN TERRITORY, AUSTRALIA – Day three of the Bridgestone World Solar Challenge started with plenty of sun for PrISUm Solar Car but ended with heavy rain. The team logged roughly 378 kilometers beginning the day just south of Elliott and finishing north of Barrow Creek. 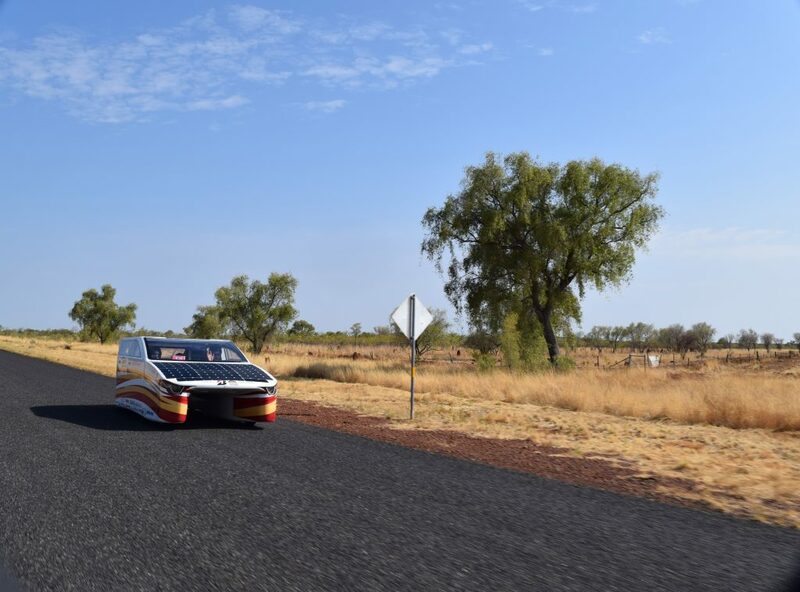 Skies were blue and mostly clear in the morning while temperatures were in the 90s when the team hit their first controlled stop in Tennant Creek around lunchtime. Around 2:30 local time the team encountered heavy rain which quickly turned the red dirt into muddy pools of water along the side of the road. This marked the first time during the race that the car – Penumbra – experienced significant rain. 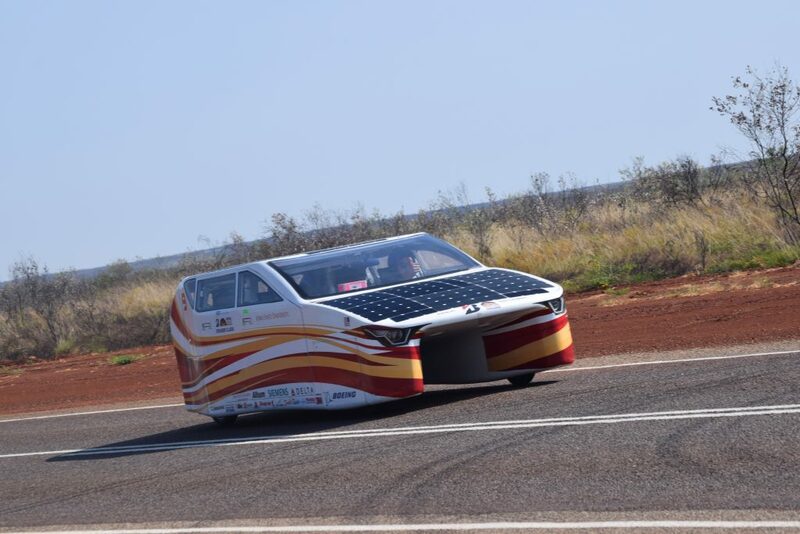 The rain inhibited the Penumbra’s ability to absorb solar energy at a point in the race when the battery was already stressed, forcing them to pull over to evaluate the problem. 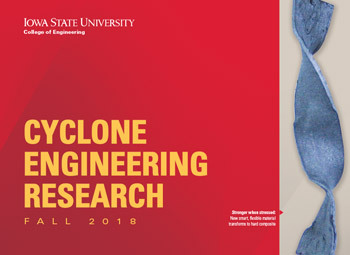 After a brief recharge, in the middle of the pouring rain, the team hit the road again and progressed toward the controlled stop in Barrow Creek. Unfortunately, the lack of charge to the battery pack forced the team to pull over again and use the trailer to haul the car the remaining few kilometers to the next controlled stop. 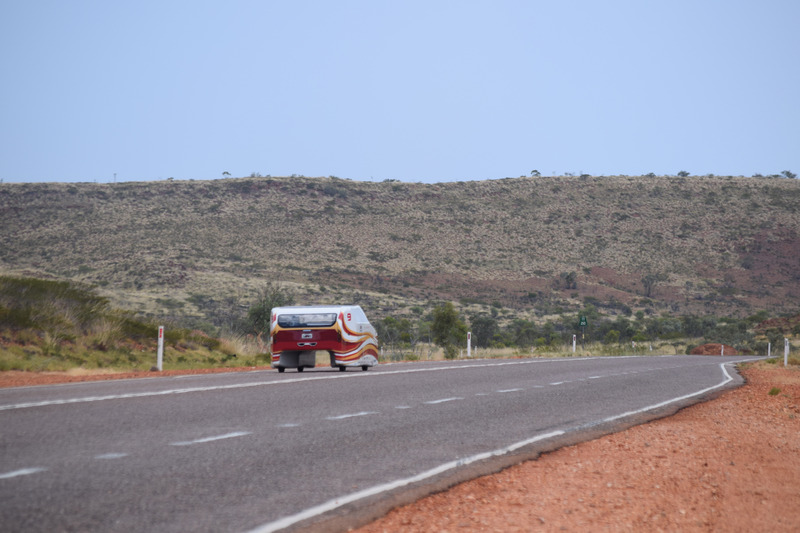 From there the team was forced to trailer to its rest stop for the night, about 75 kilometers north of Alice Springs. Because the team was forced to trailer the car they’ve been moved from cruiser class to adventure class. 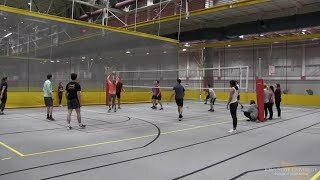 Despite the setback, Neal said the team’s spirits remain high and that they’ll continue to achieve what they set out to do. 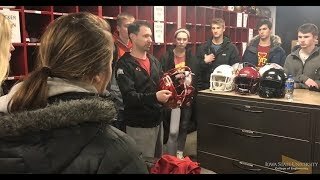 So proud of you and your team efforts. A valiant effort put forth…much pride in this endeavor!